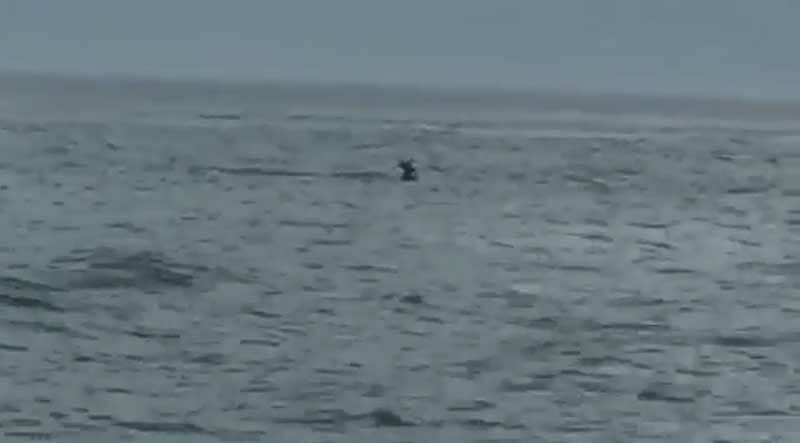 Rob Kurdy and his friends were coming back from shark fishing off the caost of New York on Saturday afternoon when they spotted something six miles off shore. 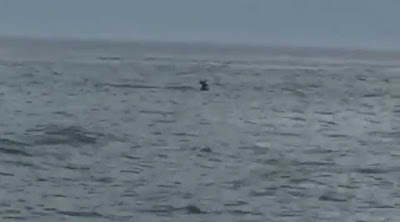 “Here’s a freaking buck swimming out in Long Island Sound,” Kurdy said. They went to check it out, and it didn’t look like the six-point buck was going to be able to tread the 58-degree water much longer. “You could see it shivering. It was barely staying afloat, kind of just going in circles,” he said. 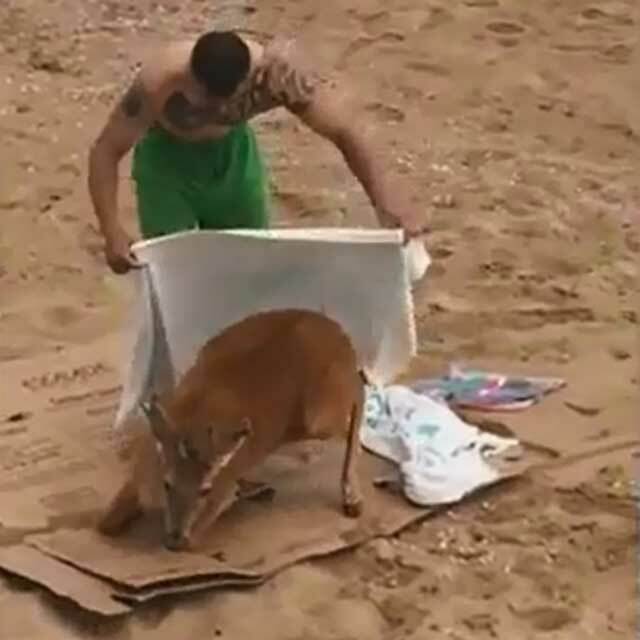 So they decided to save him. 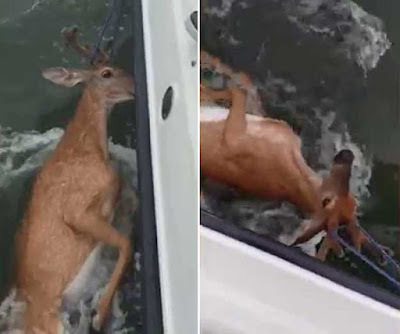 “[We] actually got a piece of rope and were able to stick the rope around the antlers real gently, and corral the deer towards the boat,” Kurdy said. 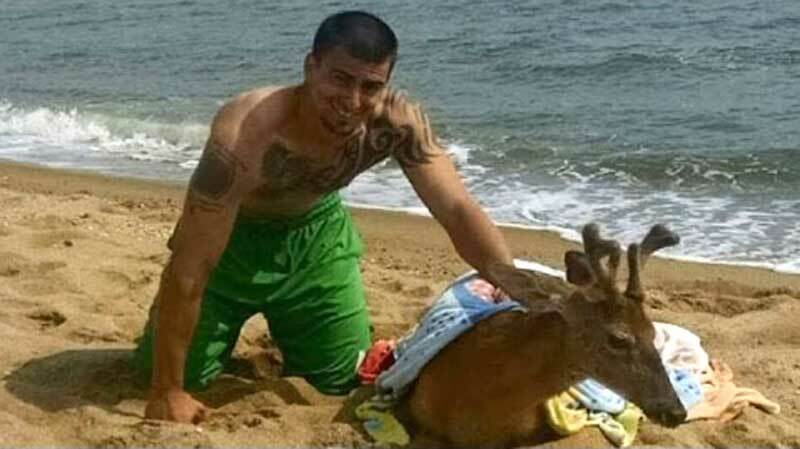 “We used one of the boat cleats to tie it to him and make sure he was comfortable and we weren’t pulling on him too hard.” They made the six mile trip to shore and a Madison beach. They weren’t sure how close they could get the boat to shore, and the buck couldn’t swim another stroke. So, Kurdy put on a life jacket and jumped in, and pulled the deer to shore himself. “It’s a life,” he said. “I’m not going to let him drown. He was out in the middle of nowhere, shivering and freezing, so we all said, we just can’t let it drown. 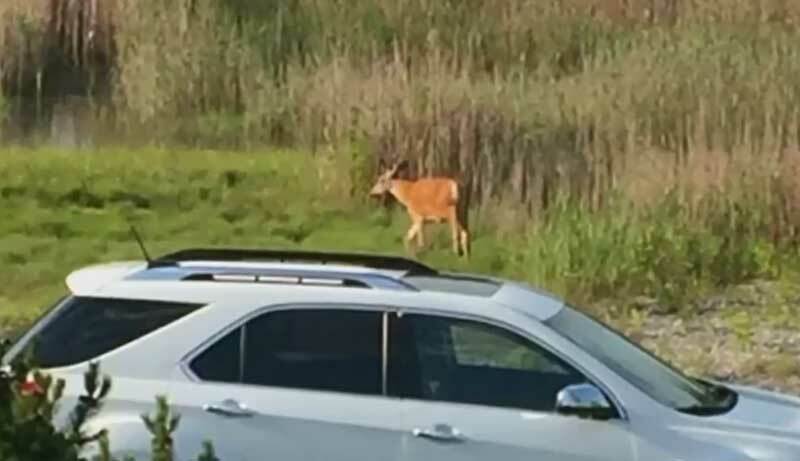 It was the right thing to do.” The neighbours brought some blankets, and it took about three hours, but the buck was finally able to get up and walk off on his own.